I'm so glad I finally got around to read this book. It's been sitting on my TBR forever and I'm so happy I'm tackling it now that I'm finally on vacation. I'll try not to spoil anything major I promise. Jumping into the book, you're first introduced to the main character Erica and her friends who are going on a vacation abroad together but while all Erica's friends want to do is party and sunbathe, she wants to go see the sights and experience the temples of Cambodia. So she ends up venturing out on her own and that's when she meets Sasha. They share this connection right from the start and throughout the first day they get along so great they decide to keep travelling together. Sasha being well traveled shows her around and takes her to some of his favorite places. While they are on their journey they soon fall for each other, and even though it was super fast you can't help but like seeing them together being all cute. But Sasha has been hiding a secret all along, a secret that is a big part of who he is - being a Prince and King to be. This secret will hang over them throughout the entirety of the book, in various ways. Even knowing his secret and not knowing if she could ever live the royal life and all the duties that come with it, neither Erica or Sasha want to part ways. They take on a long distance/secret relationship heads on, and somehow they manage to move to the same country and see each other from time to time when Sasha has some free time from his charity work. Starting senior at a new school in a new country without knowing a soul is not easy but Erica soon makes a few friends who became central in her life and are loyal to a fault. She starts on the track team because she loves running and hoping it will help her fit in and make more friends. Soon Erica's life is spent studying with Danny and Ricky at Danny's house, going running with Tyler, Danny's cousin who lives with him, and escaping to see Sasha whenever she and he can. She's getting her life together and integrating well in the new country and falling deeper in love with Sasha while also getting to know the real Tyler bit by bit. Things start getting complicated, a distance relationship is not easy. When she's with Sasha everything feels right and is perfect but when they're apart doubt fills her head and seeing Sasha on tv pretending to be someone else with the media makes her question if she really knows him at all. Soon Erica finds her head and heart divided between Sasha and Tyler. She knows Sasha is the love of her life but she also developed feelings for Tyler. They have something between them that is undeniable. Do Erica and Sasha really have a future? Will she ever be ready to go public and live the life of a royal? 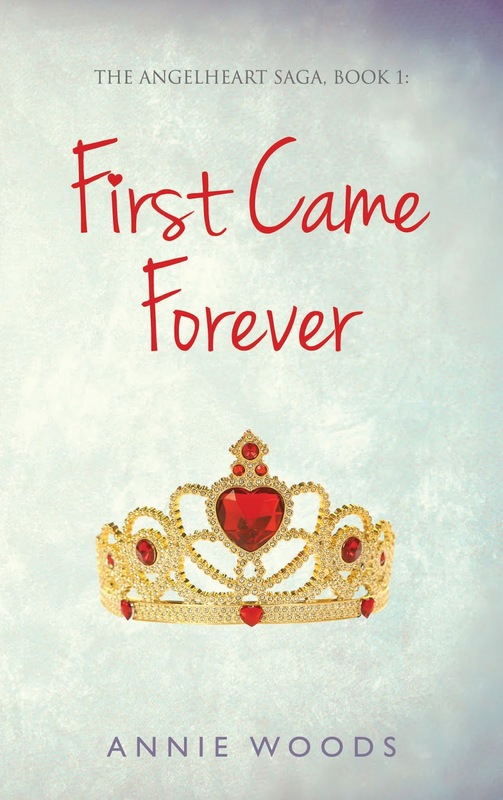 This book had me all over the place with all the teen life dramas and the royal life dramas as well. The friendships, the love triangles, the murder plots all had me glued to this book. Everything came together in the end in a fantastic way in terms of plot, but for my emotions not so much. Things did not end on a positive note and boy am I glad the second book is out so I can jump right on and find out what happens with all the characters, because they all have me invested in their journey. I can't wait to see how everything plays out, how the truths come out, how relationships will end. I'm so excited. Book #2 is already available!